If you work out or run regularly, you should invest in a good pair of sneakers to ensure you're comfortable and safe. These days, trainers can be expensive, though, so proper care is the key to making them last longer. First, only use your sneakers when you're working out, reports About.com. They may be easy to slip on for errands, but the extra use may be putting unnecessary miles on your shoes. Another way to preserve your workout shoes is to have two pairs that you rotate for exercise or training. This way, it will take you longer to wear them down. Proper storage will also extend the life of your shoes. Keep sneakers in a cool, dry place where they can air out. In other words, don't leave them in your car or gym bag. Also, if they get wet, simply take out the insoles, use a light brush to remove any dirt from the outside and let them air dry. You can also try stuffing them with newspaper for faster results. Whatever you do, don't put your sneakers in the dryer. According to Runner's World, the dryer "breaks down the shoe materials" and dries out the leather. Plus, the banging sound isn't exactly music to people's ears. Of course, the durability of your shoes will depend on what kind of exercises you're doing and how you do them. Every person is different. 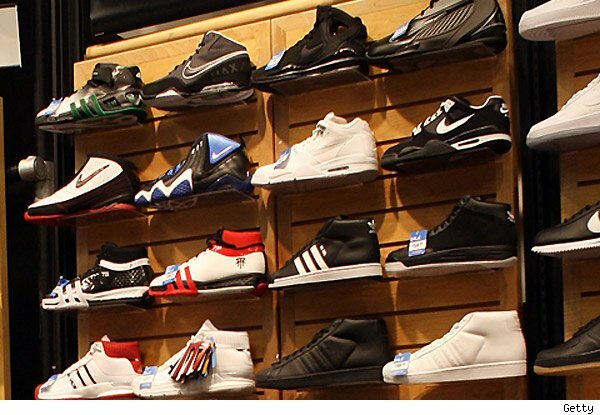 Keep a log of how long your sneakers last before they show wear and tear, and make sure you talk to a sales associate who can help match you with the right pair of sneakers for your needs. Remember these tips before you hit the pavement and you'll save more money in the, well, long run.